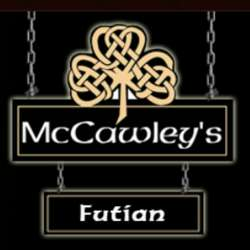 McCawley’s Futian opened its doors nearly 10 years ago in the rapidly growing entertainment area of Coco Park in Shenzhen. The charming Irish pub has quickly established itself as the premium place to eat wonderful western food and socialize with friends and business acquaintances. This is a unique occasion to mingle, meet new friends and establish great connections in an inviting atmosphere! Register online now to take part in our community's next great event and meet expats from many interesting places all around the world.